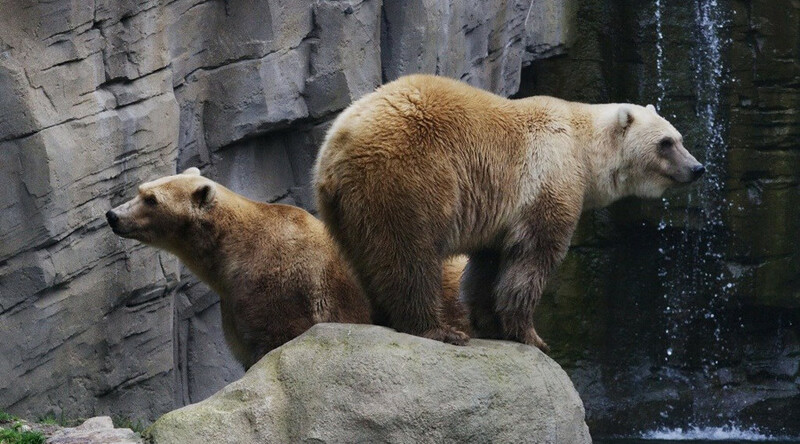 An extremely rare polar bear/brown bear hybrid was fatally shot by zookeepers after escaping from its enclosure and prompting the evacuation of a zoo in northwest Germany. The bear, whose name was Taps, was one of the main attractions at the Osnabrueck zoo as a so-called “cappuccino bear” hybrid. The bear escaped through a hole in its fence on Saturday, according to local police who rushed to the scene. Nord West Media TV reports that zoo staff had to take startled visitors into the monkey house to shelter. Osnabrueck police said in a statement that the bear was killed by staff with a rifle. "We immediately responded with the team, we had to shoot the animal to protect the visitors,” zoo CEO Andreas Busemann said, according to Berliner Zeitung. The enclosure was inspected by police following the bear’s fatal shooting. No human was hurt in the incident and normal operations resumed at the zoo a short time later, although parts of the site were closed to visitors. A second “cappuccino bear,” named Tips, resides at the zoo. Tips and Taps were born in the zoo in 2004 as a result of different bear species residing in the same enclosure. It previously wasn’t thought possible for brown bears and polar bears to interbreed prior to their arrival, Berliner Zeitung report. The two species were immediately separated after the births.